Oat Gain delivers over 600 kcals per serving and contains ground oats in addition to BIOTEINTM Xtreme. 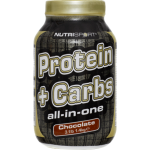 This is an exclusive whey protein based complex,created using a unique blend of whey protein concentrate enriched with organic coconut oil and 9g of naturally occurring amino acids. Organic coconut oil predominantly consists of beneficial fats - medium chain triglycerides (MCTs).MCTs are broken down in the stomach and transported to the liver where they are metabolized quicker than other fats. 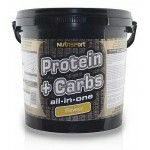 These high biological value and easily digested proteins support the growth and maintenance of muscle mass. Uniquely At Kinetica, we manufacture all of our own proteins in our state-of-the–art dairy manufacturing facility and maintain full control over supply and selection,to ensure that the highest quality whey proteins are available to you. Oat Gain also contains added active ingredients taurine and l-glutamine,together with the digestive enzyme Aminogen® and a multi-vitamin blend. Vitamin C contributes to the reduction of tiredness and fatigue and Vitamin B6 Contributes to normal protein and glycogen metabolism. Oat Gain contains natural flavours and colours only and makes a great tasting shake – just add to water or low-fat milk. Whether competing at the top of your sport or for personal gain it is crucial that the supplements you choose are safe and drug screened. At Kinetica we wholly embrace drug testing and are part of the Informed-Sports Programme. How to take Kinetica Oat Gain? What is Kinetica Oat Gain 4.8kg? 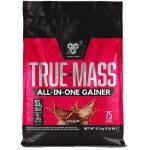 NutriSport Protein & Carbs All in..
BSN True Mass All in One Gainer Rea..
BSN TRUE MASS 1200Quality calories for t..